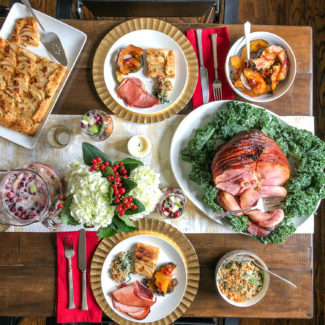 While I love turkey and look forward to eating it on Thanksgiving, I realize that not everyone feels that way. 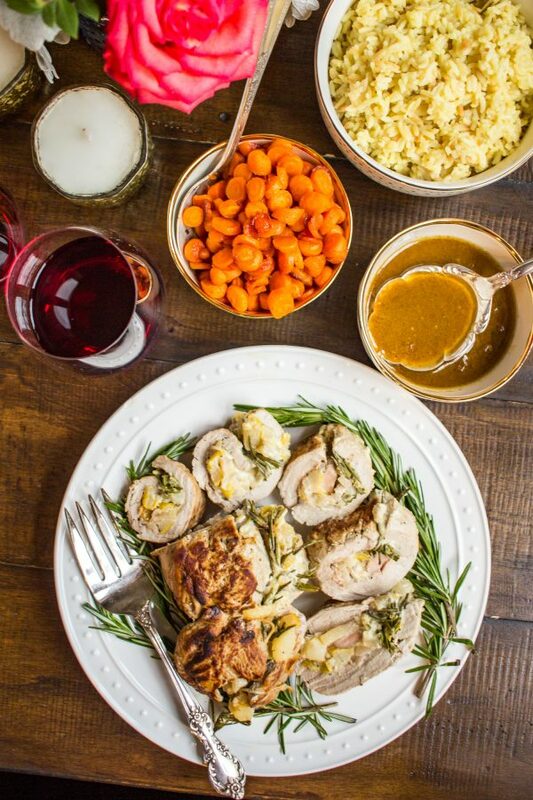 Today I am sharing recipes that are alternatives to serving turkey on Thanksgiving. 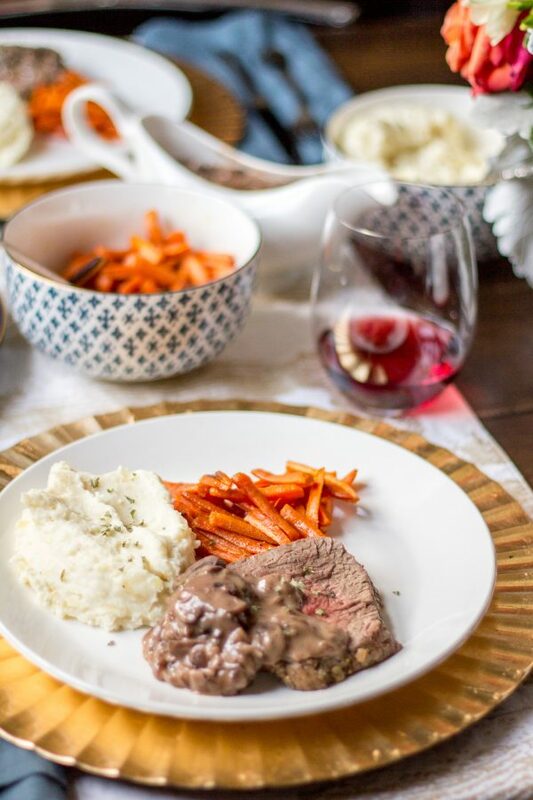 Beef Tenderloin with a Red Wine and Mushroom Sauce – I love making beef tenderloin for special occasions because it is a nicer cut of meat fitting for a holiday, and it cooks very quickly. 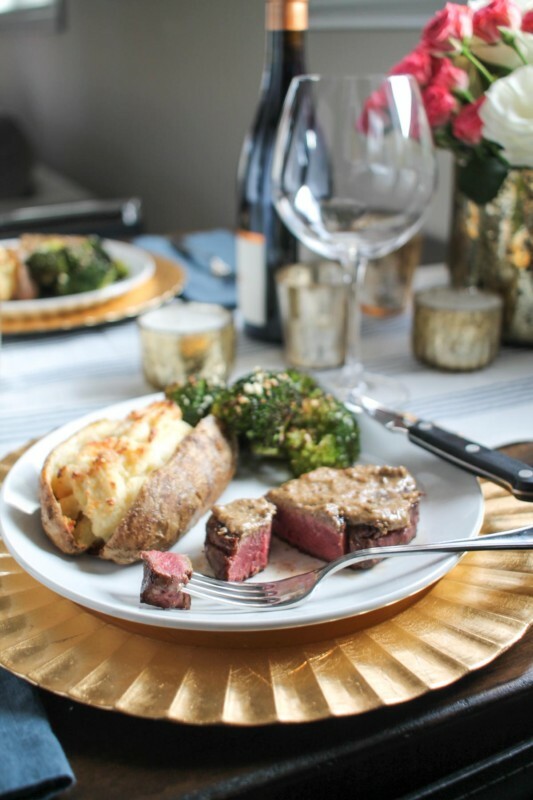 If you want to make individual steaks, try Ribeye Steak with a Bourbon Cream Sauce or Filet Mignon with a Garlic Mustard Sauce with a side of Steakhouse Style Mashed Potatoes. 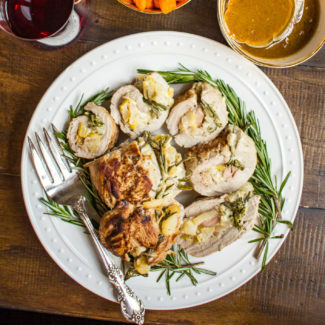 Pear and Blue Cheese Stuffed Pork Tenderloin – This pork tenderloin stuffing with white wine poached pears, shallot, blue cheese, and rosemary is full of fall flavors, has an incredible gravy, and it would pair well with traditional Thanksgiving side dishes. You could even swap out the pears for apples if you want. 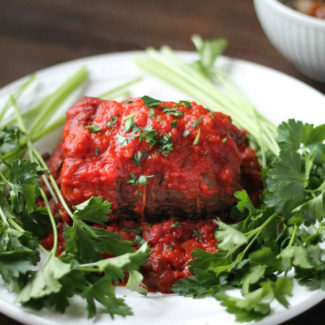 Also – pork tenderloin is incredibly affordable, it is a much less expensive alternative to serving a whole turkey or beef tenderloin. 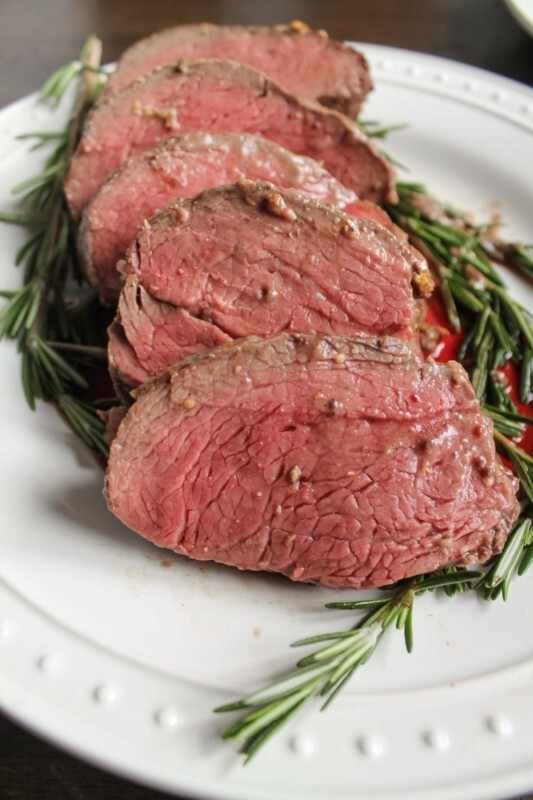 Each tenderloin serves about 4-5 people, but you could easily make two at once. 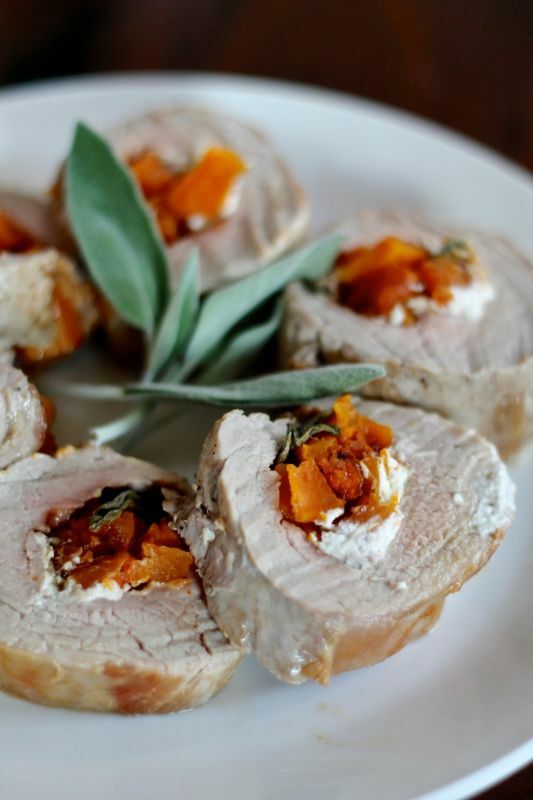 Butternut Squash, Goat Cheese, and Sage Stuffed Pork Tenderloin – Here is another stuffed pork tenderloin recipe that embraces a different set of fall flavors! 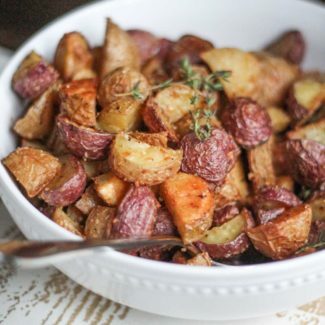 I made this for Christmas a few years ago when I was in Germany with my in laws and they loved this recipe. And surprisingly, some of them had never had butternut squash before! 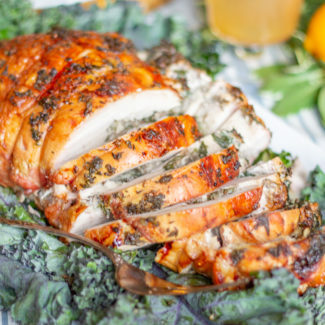 If you want to take this meal to a whole new level, fry the sage before stuffing it inside the pork. 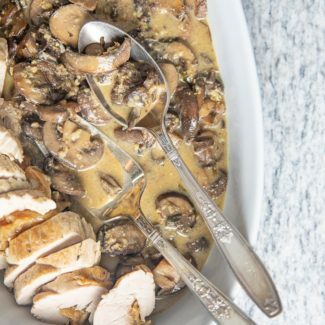 Roast Chicken – If you don’t need 12+ pounds of meat, make a chicken (or two) instead! 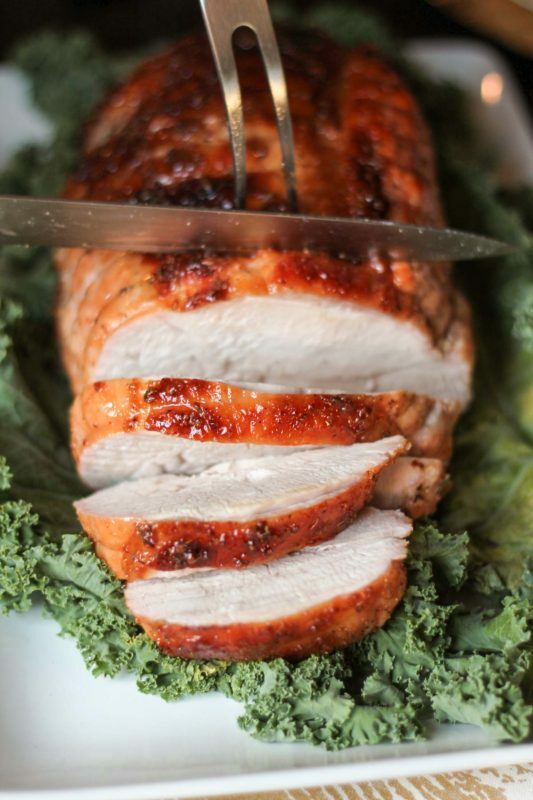 Turkey Breast – Or, if you want to serve turkey but only need 6-8 pounds of it, make this easy honey maple turkey breast instead. 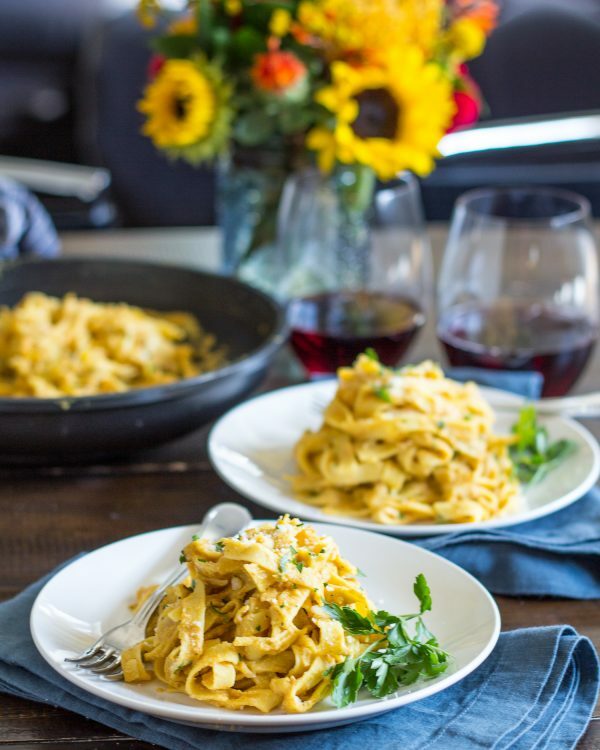 One Skillet Pumpkin Pasta – If you are looking for a vegetarian meal or side dish that is fitting for fall, make this pumpkin pasta. 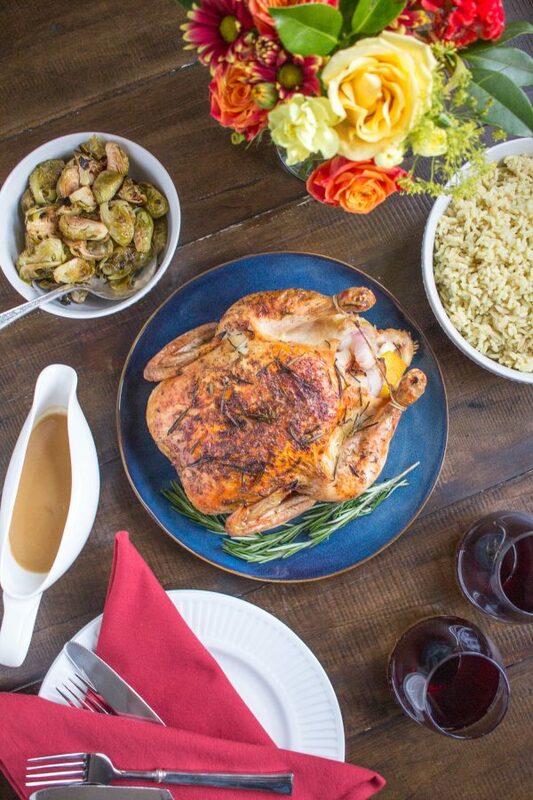 Do you serve turkey on Thanksgiving? Or do you make something else? I am curious to know!